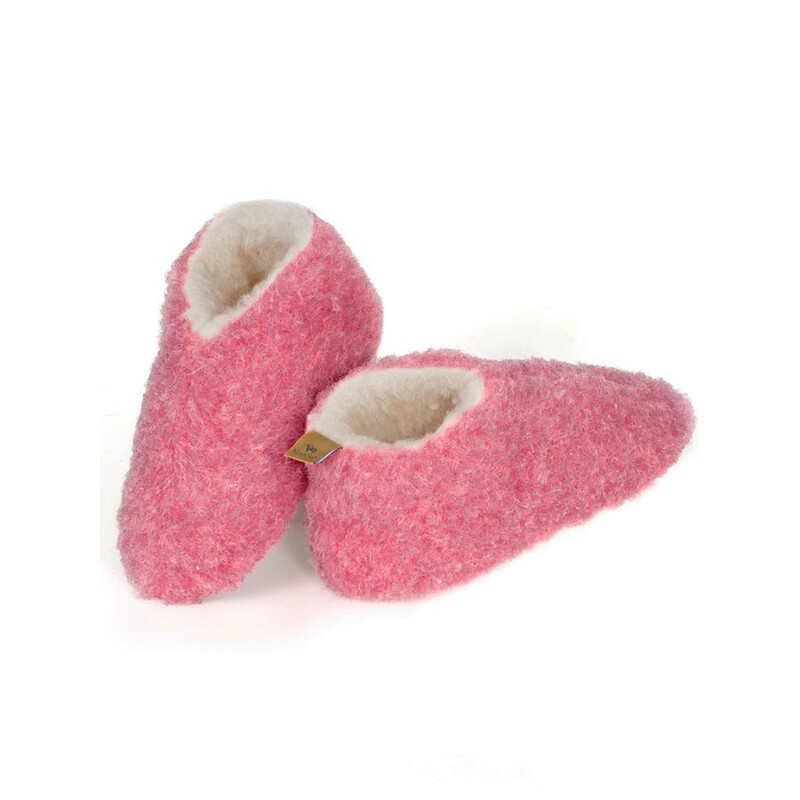 The very thick material of this closed pink woollen booties brings warmth and comfort. Very soft white inside and non-slip soles. 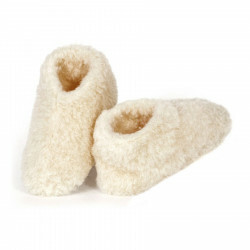 Closed slippers in pink wool with a very soft white interior fur and non-slip soles. The material, very thick, brings warmth and comfort. This very enveloping model keeps your feet warm, nothing better to protect yourself from the cold during the winter! Very soft and warm slippers for winter. 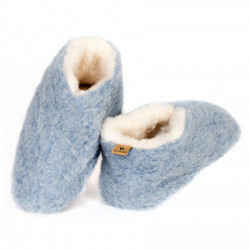 Blue sky wool slippers to stay warm this winter. Nice woollen slippers in beige colour.